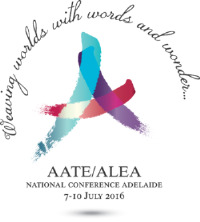 The English & Literacy Conference ‘Weaving worlds with words and wonder’ was held in Adelaide, 7-10 July. The 12 teachers who were sponsored by the Board thoroughly enjoyed the networking and educational opportunities on offer, attending as many sessions as they could including one by children’s author Phil Cummings. You can read their full conference reports on our website. How can teachers make the most of their professional learning? It is understood that the learner must take responsibility for learning, for the hard work and perseverance that are required to make knowledge stick, for practising skills and for achieving outcomes. Recently new ways of supporting students to take responsibility for their learning have emerged. These look at teachers engaging with processes that make the ideas they have been taught - heard, read, Tweeted and viewed - so that they can practice the changes of behaviour that new skills require. Creating a short video is one novel idea but we would love to hear how you are documenting your learning journey. Read the blog here. The Ethnic Schools Association presents: Supporting students with Autism Spectrum Disorder: strategies for students across the spectrum. Wednesday 17 August, 5.30pm-7.30pm at the School of Languages, 255 Torrens Road, West Croydon. For more information or to register email DECD.ESA@sa.gov.au or call 8301 4814 by 10 August. SHine SA – Relationship & sexual health education: Young people with a disability. A one-day workshop aimed at middle years teachers and support staff, that explores a suggested curriculum framework, problem-solving scenarios, challenges and concerns of participants and a range of relevant resources. At SHine SA, Woodville, Monday 22 August 8.30am – 4.30pm. More information here. The Orff Schulwerk Association of SA (OSASA) are proud to welcome interstate presenter Mary Walton (WA) and local presenters Michael McConnochie and Kerry Rayner leading workshops on Early Childhood Music Education and the 2016 Music Count Us In Song. Saturday 20th August, 9am – 4pm at Fullarton Park Centre, Fullarton Road, Highgate. Students $50, members $100, non-members $170. More details here. The Adelaide Symphony Orchestra presents Music Everyday: Inspiring creators and participators. Thursday 25 August, 4.30pm – 6.00pm, ASO Grainger Studio, 91 Hindley Street, Adelaide. Cost $30. More information here. Dyslexia SA hopes to see you at their first Literacy EXPO! Teachers, parents and allied health professionals will enjoy a full day of the latest research around reading instruction. Saturday 3rd September 2016, 8:30am - 5:00pm. Education Development Centre, 4 Milner Street, Hindmarsh. More information here. Australian Geography Teacher’s Association presents Help! I’m teaching Geography, Pembroke Middle School, Kensington Park, Tuesday 9 August, 4.30pm – 6.00pm. More information here. Mid-year Chemistry teachers’ workshop – What’s new for Stage 1 Chemistry in 2017. Monday 15 August, 4.30 – 6.30pm, level 2 laboratories, Reid Building UniSA, Frome Road, Adelaide. Find out more here.